Cape Ann is located in Essex County, MA. It is a rocky coast that protrudes out into the Atlantic Ocean approximately 30 miles northeast of Boston. It is considered the northern limit of the Massachusetts Bay and includes Gloucester, Rockport, and other little towns by the sea. Lisa and I were married in Gloucester and have been spending summers there for 35 years. I never cease to be amazed by the natural beauty of this part of New England. 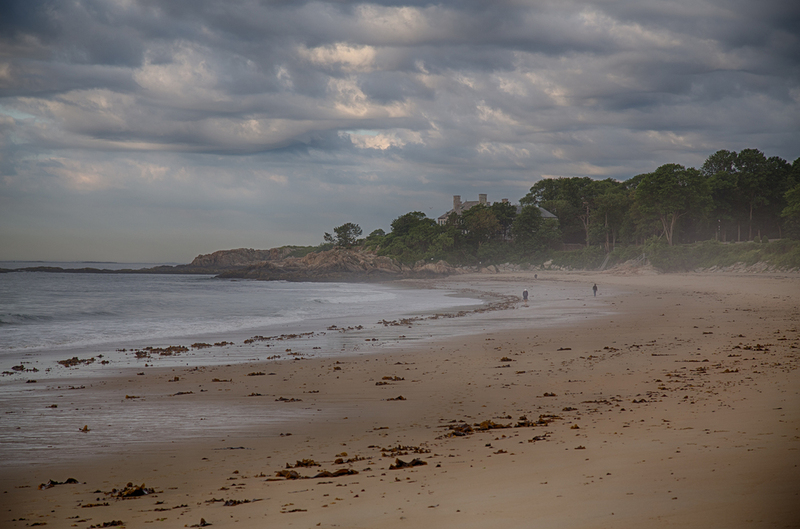 Despite having attempted to scour the cape from the "Sandy Bay" of Rockport to the "Kettle Cove" in Magnolia, I have found new places to explore and photograph with every visit. Gloucester is first and foremost a center of the fishing industry. It was originally settled by men from Dorchester, England, in what would become known as the Massachusetts Bay Colony in 1623. Fishing stages were set in an area that is known today as Stage Fort Park. 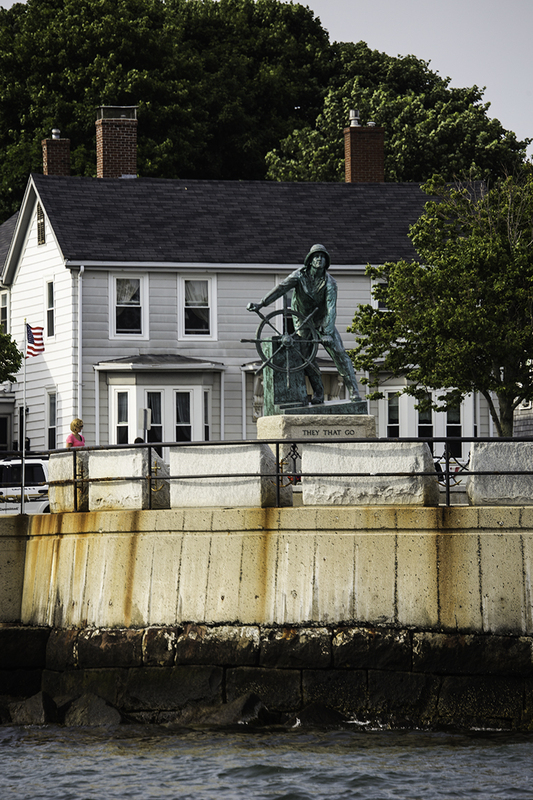 The most recognizable landmark in the harbor is the Gloucester Fisherman's Memorial Cenotaph. 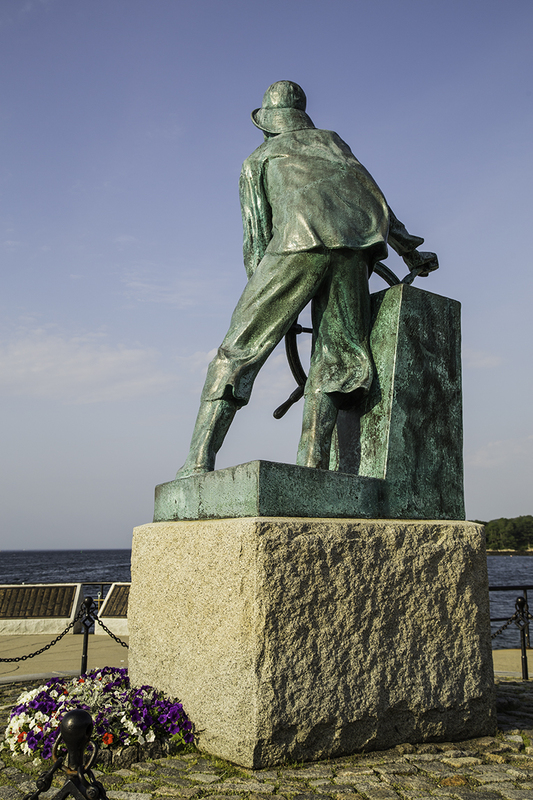 This is a bronze statue in Gloucester Harbor of a Man at the Wheel. It has a dedication that reads, "They that go down to the sea in ships," a quote that impacts me every time I see it. Leonard Craske designed this sculpture in 1925 after spending many hours aboard schooners observing fishermen at work. The subject has a rugged look as if he was facing a windstorm. 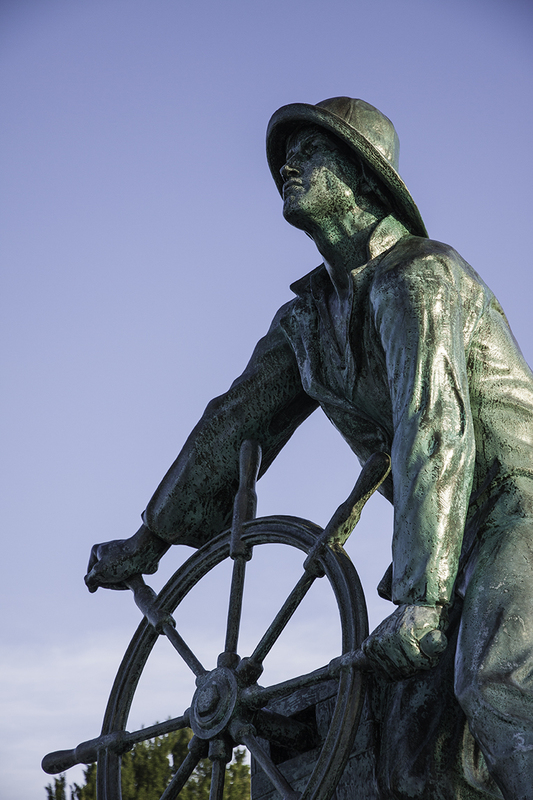 He grips the wheel firmly with every muscle straining, as his eyes are fixed on the water and sails. The statue was made as a permanent memorial to those lost at sea in the first 3 centuries of Gloucester's history. It was added to the National Register of Historic Places in 1996. 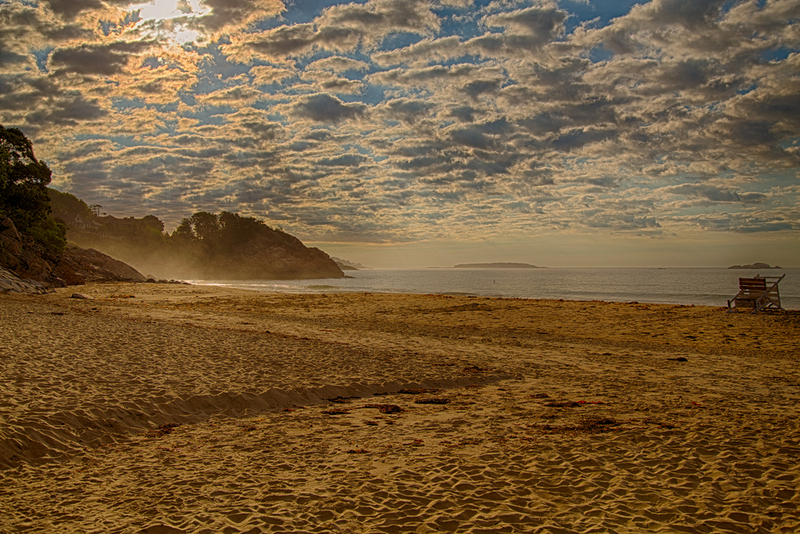 When I think about Gloucester, the first image that enters my mind is usually Good Harbor Beach. Located on Thatcher Road, this is an expanse of white sand, free of tar and rocks, that extends for almost 1 mile facing the Atlantic Ocean. As an incredible example of geophysics, the tide goes in and out daily based on the position of the moon relative to the earth. At low tide it is a few hundred feet wide and allows one to walk out to Salt Island. At high tide, the beach appears pristine, and compares favorably to many I've seen in the world. 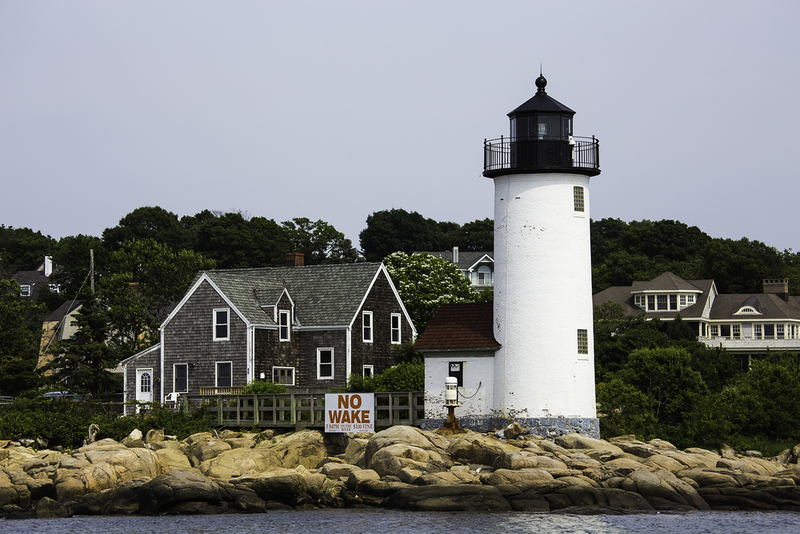 While lighthouses can be seen throughout the New England coastal landscape, there are 5 such landmarks that dot the Cape Ann coastline and help define this area's history. The Thatcher Island Twin Lights were first established in 1771, and are located approximately 1 mile offshore of Rockport. The two towers were built to mark a hazardous location, and would provide a distinguishing landmark for mariners. This historical site was a place where several naval confrontations with the British occurred that contributed to the eventual victory of the colonists. A company of minutemen temporarily destroyed the lights in 1775 in order to prevent any advantage to the British. Eastern Point Light Station was initially built in 1832. 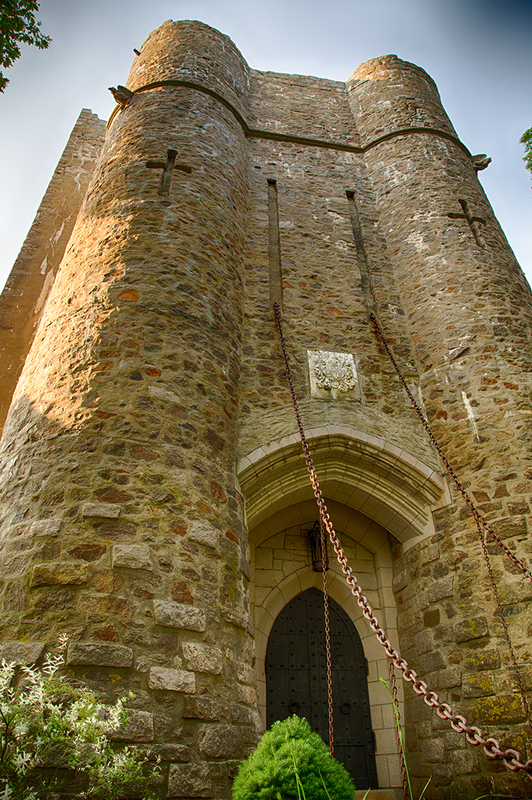 The tower was rebuilt in 1890 and consists of a tower, keeper's quarters, walkway, oil house, and bell tower. The lighthouse was developed in order to support fishermen, whalers, and traders. The movie The Perfect Storm featured this iconic structure that depicts the danger of those who depend upon the sea for a living. 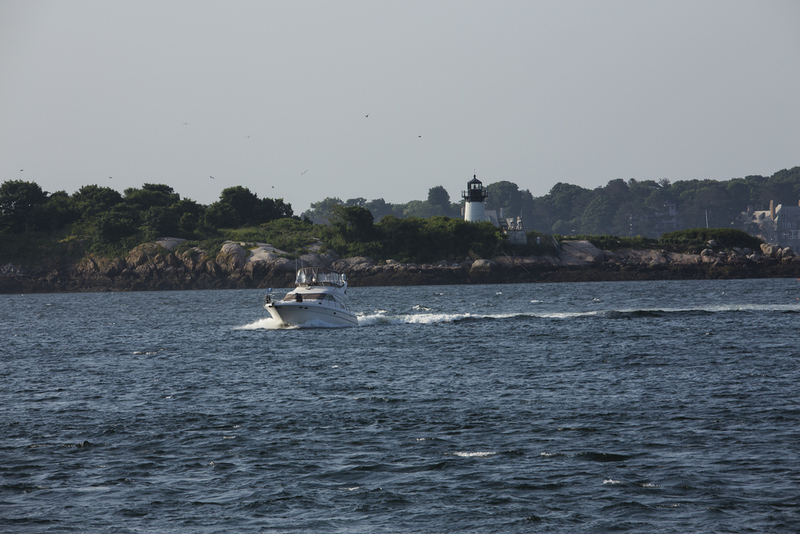 The Annisquam Harbor Light Station is situated on Wigwam Point in a neighborhood of Gloucester known as Annisquam. It was first built in 1801 and then renovated in 1851 with several facelifts since then. It was added to the National Register of Historic Places in 1987. This lighthouse was used in the 2008 movie remake The Women, starring Meg Ryan. 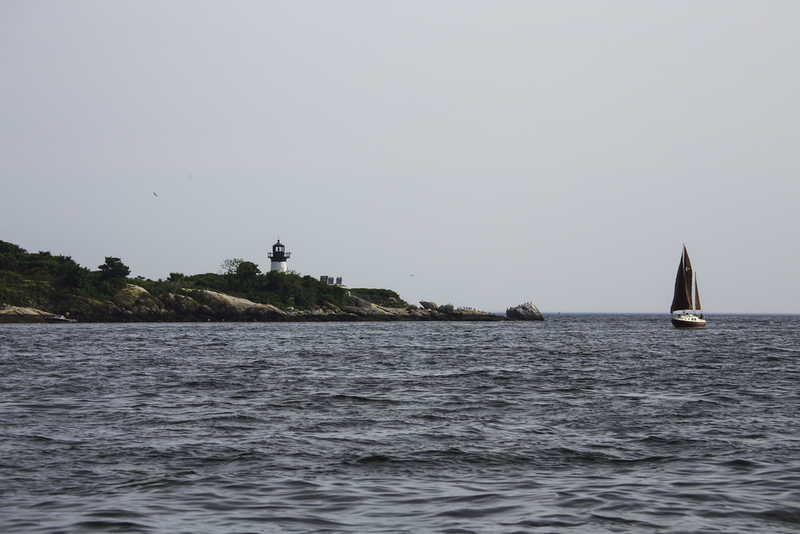 The Ten Pound Island and Lighthouse were originally built in 1821 and is located on the eastern end of Gloucester Harbor. It was rebuilt in 1881, but despite the renovation only ruins survive. Its name is derived from cash that was paid to local Indians for the property by early settlers. Today, it is included in the National Register of Historic Places, and has been the subject of paintings done by Winslow Homer and Fitz Henry Lane. On the way to Magnolia from Gloucester, one comes across the Hammond Castle. Now a museum, this estate was once the home and laboratory of John Hayes Hammond, Jr., an inventor who was a pioneer in the development of remote control. The castle is situated on a rocky cliff that overlooks Gloucester harbor and contains Roman medieval, as well as Renaissance artifacts. The Greasy Pole Contest occurs every year during the St. Peter's Fiesta in Gloucester. 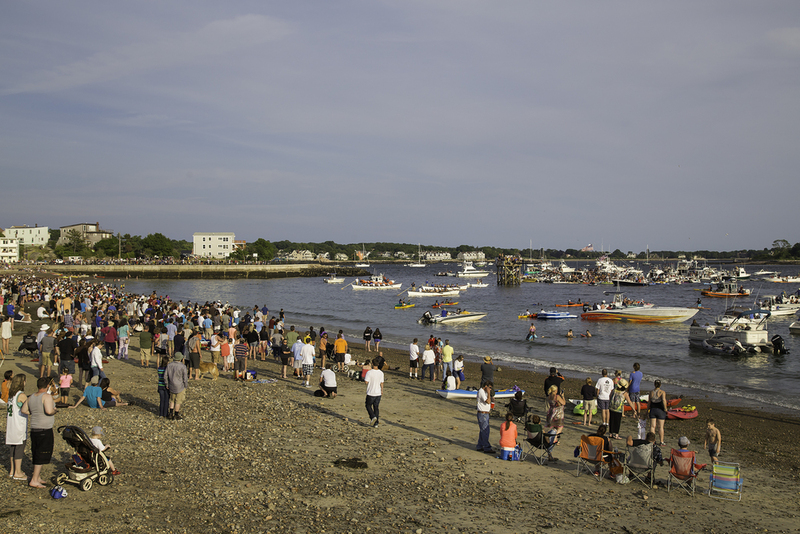 This event originated in Sicily in the 19th century and was brought to Cape Ann by the large population of Italian immigrants who were fishermen in the early 20th century. During the last weekend of June each year, 40-50 men of Italian descent compete by attempting to walk down a greased wooden pole in the middle of Gloucester Harbor. The pole extends horizontally from a platform that is situated 200 feet offshore. The size of a telephone pole, this object is 10-25 feet above the water and is heavily saturated with biodegradable axle grease. The contestants are between the ages of 18-60, and they take turns attempting to traverse the pole upright to the end. The goal is to capture a red flag nailed to the end before capsizing into the cold waters of Gloucester Harbor. This is a 3-day event that starts on Friday and culminates on Championship Sunday, in which surviving contestants compete with past champions or their protégés. Rocky Neck Art Colony is the oldest working artist colony in the United States. Established in the 1840s, numerous artists and writers have lived and worked in this area. Today, one can meander through the narrow streets with access to many art studios and views of the wharf area. One comes across the village of Magnolia on the way to Manchester-by-the-Sea along the southwestern part of Gloucester. After taking in Hammond Castle, a short distance down the road is the Kettle Cove of Magnolia. This area became a summer vacation destination in the early 20th century and was frequented by film and music personalities including Lucille Ball and John Phillip Sousa. 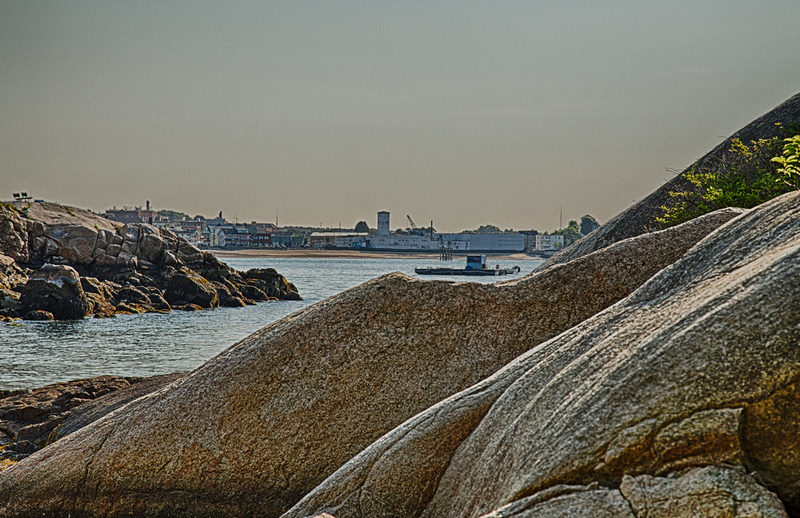 Annisquam is located a few miles from downtown Gloucester within Cape Ann. It is a small waterfront neighborhood that was first settled by Europeans in 1631 and became known for granite quarrying and an artist colony in the late 19th century. This area has been the subject of notable painters such as George Loftus Noyes and Margaret Fitzhugh Browne. 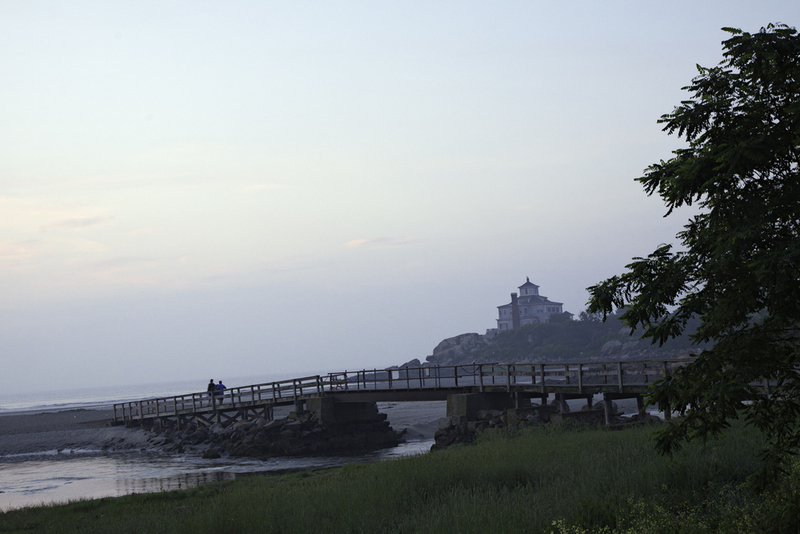 The Annisquam Harbor Light is this locale's most historic landmark. It is fun to walk across the Annisquam Bridge early in the morning as the sun rises. 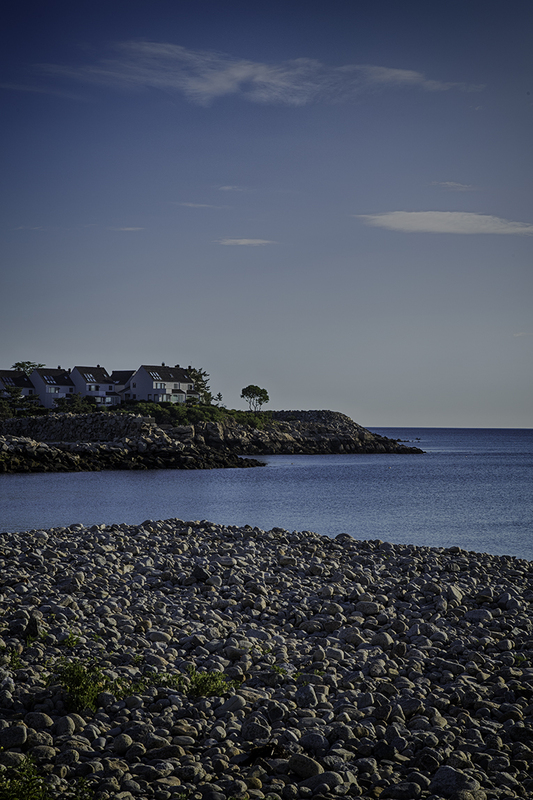 Rockport is at the tip of the Cape Ann Peninsula. Located just east of Gloucester, it is surrounded on 3 sides by the Atlantic Ocean. While Gloucester was becoming progressively urbanized, Rockport was essentially an uninhabited area that was used primarily as a source of pine for shipbuilding. In 1743, a dock was built in Sandy Bay that allowed for shipping timber and fishing. By the 19th century, granite quarries were being developed, as this area became an important source for building materials throughout the northeast. 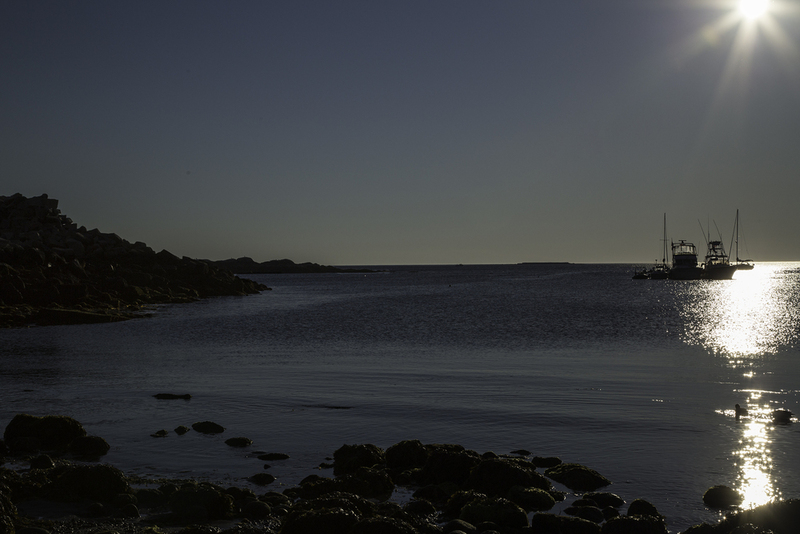 Today, Rockport has a thriving artist colony, as artists and photographers have focused on capturing the picturesque coastline that is lined by beautiful rock formations. It has been a film set for numerous movies, including I'll be Home for Christmas, The Love Letter, and The Edge of Darkness. For the past 30 years, an event has taken place known as the Annual Gloucester Schooner Festival. Always occurring on Labor Day weekend, this extravaganza showcases the major role that the fishing schooner has played in Gloucester's history. For 3 days, a wide variety of boats come to Gloucester Harbor to participate in the event in which modern-day trawlers are seen together with traditional vessels from the age of sail. The festivities culminate in the Parade of Sail on Sunday morning, in which the schooners leave the harbor and head towards Eastern Point as shown below. 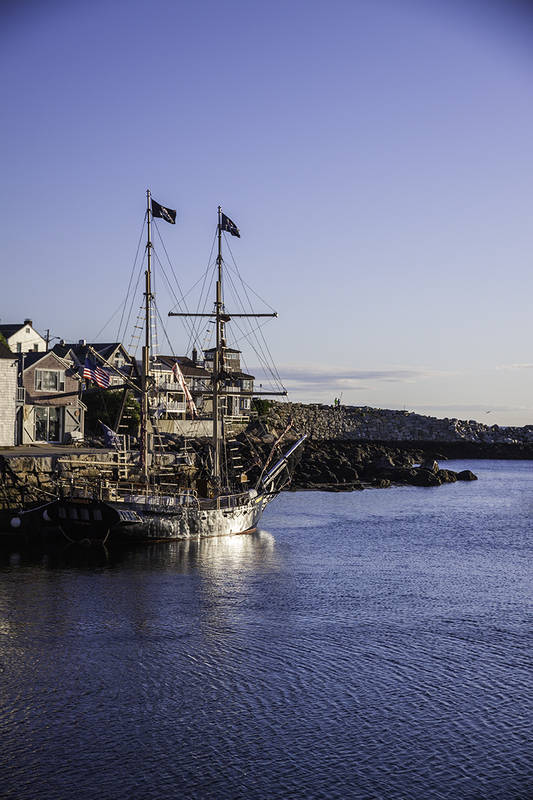 In 1693, respectable Cape Ann citizens began moving away from the peninsula, populating an area further inland that provided added protection against pirates. After the War of 1812, however, most of these resident farmers relocated to a safer environment. The inhabitants that were left behind were itinerants and vagabonds who kept dogs for protection and company, hence the name, "Dogtown." 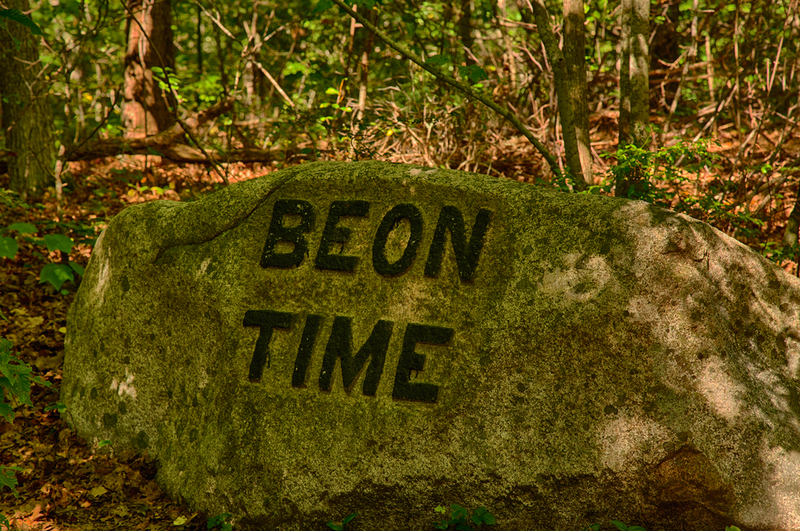 During the Great Depression, Roger Babson, a wealthy philanthropist, offered work to unemployed stonecutters to carve inspirational inscriptions into large boulders in Dogtown, as shown below. 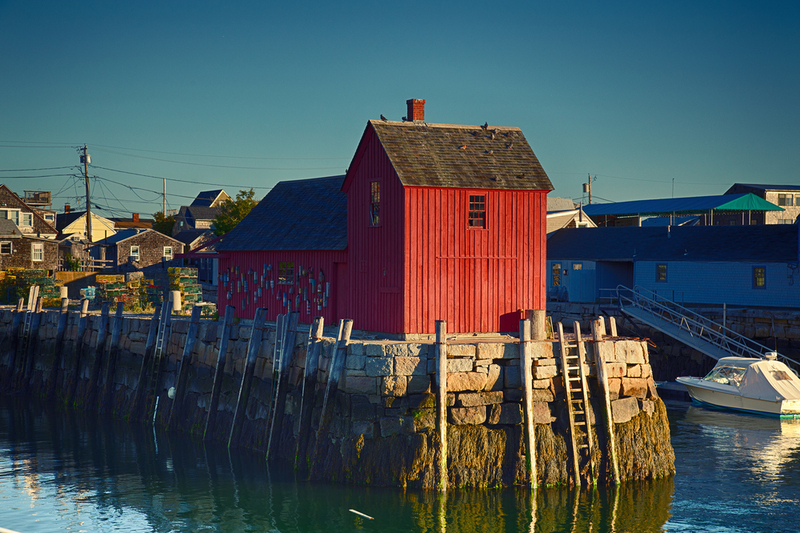 Manchester-by-the-Sea is a small town in Cape Ann that was first settled by Europeans in 1629. 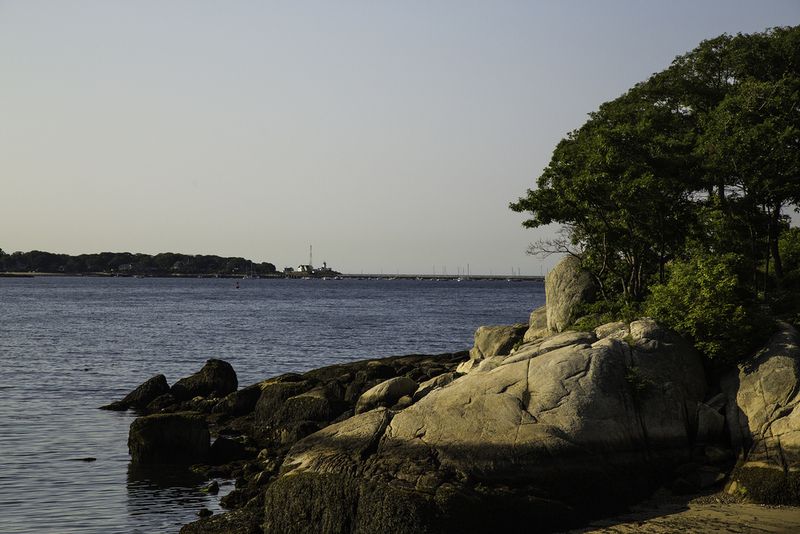 Originally developed as a fishing community, by 1845, the profile of this area had shifted to a Boston summer colony. By 1900, numerous summer homes had developed along the coastline, and the town had become Boston's high society community of choice for summer residency. The name "Manchester-by-the-Sea" was coined to distinguish it from nearby Manchester, NH. A four to five-hour trip that is well worth experiencing is a whale watch. The boat leaves from Gloucester and heads towards Provincetown at the tip of Cape Cod via the Stellwagen Bank National Marine Sanctuary. This is considered to be in the top ten of whale watching spots in the world. Seventeen species of whales are known to inhabit the sanctuary's waters including Humpback, Finback, Minke and Blue Whales. Below are Humpback Whales that we found on this day about twenty miles off the coast of Provincetown. The Front and Back Beaches of Rockport are closely juxtaposed, located on Sandy Bay, a short walk from the Rockport Village. The Back Beach has a surface that combines both rock and sand, an excellent entry site for scuba divers. On a night dive, it is common to see squid, lobsters, starfish, and flounder. 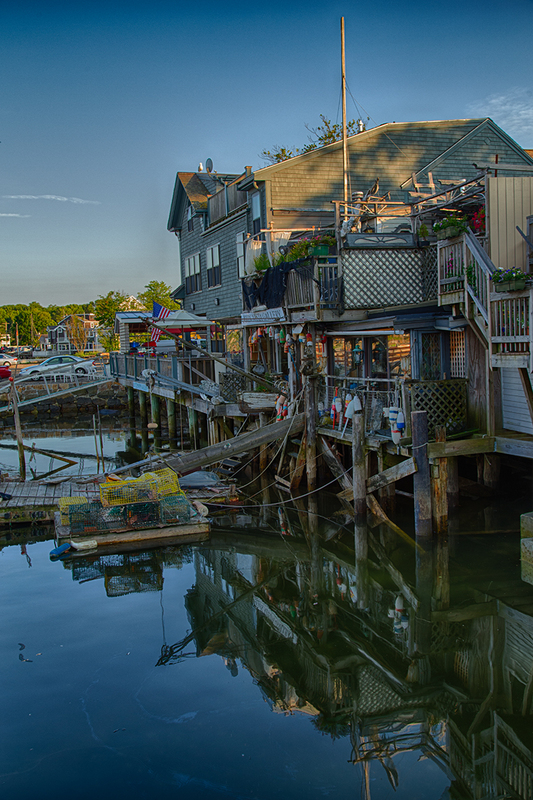 Essex is a town in Cape Ann that is 26 miles north of Boston. The first European settlers arrived there in 1634 where the land was occupied by the Agawam Indians. Originally known as Chebacco Parish, the settlers were prevented from constructing a meeting house, as this would have mandated de facto independence. A dictum was issued that stated, "no man shall raise a meeting house." In order to circumvent this maxim, the men stood by as bystanders, while the women, led by Madame Varney, raised the structure that made this an autonomous entity. The economy in this area today depends on seafood, tourism and antiques. Chubby Woodman apparently "invented" the fried clam in Essex in the early 20th century. Clams are of exceptional quality in the tidal river in this area, making seafood restaurants a big draw. In addition, the antique trade has flourished with the largest number of antique shops per square mile in the U.S.
Essex was formerly known as an important shipbuilding center. From the time of Chebacco Parish until the early 20th century, Essex was an important supplier of schooners to Gloucester and other fishing communities on the Atlantic coast. This industry went into decline by World War 2 when sail-powered wooden ships were replaced by engine-powered metal vessels. The Essex Shipbuilding Museum is now a great representation of the wooden shipbuilding industry. In fact, in close proximity, classic wooden ships are still built in a boatyard run by generations of the Story family. The Crane Estate, located in Ipswich, includes a mansion on a hill overlooking sea and salt marsh. 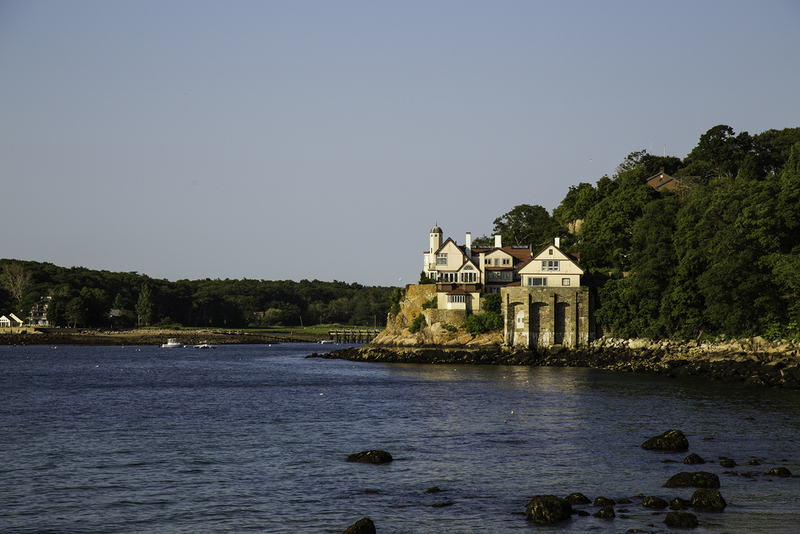 Referred to as Castle Hill, this was the summer home of Richard T. Crane and his wife and includes 2100 acres that house 21 outbuildings and designed landscapes overlooking Ipswich Bay. Castle Hill is a representative example of the "Country Place Era" of the early 20th century in which wealthy Americans built opulent country estates. Designed by 7 architectural firms of national prominence, the Crane Estate is recognized for its state of preservation and design, and was designated a National Historic Landmark in 1998. 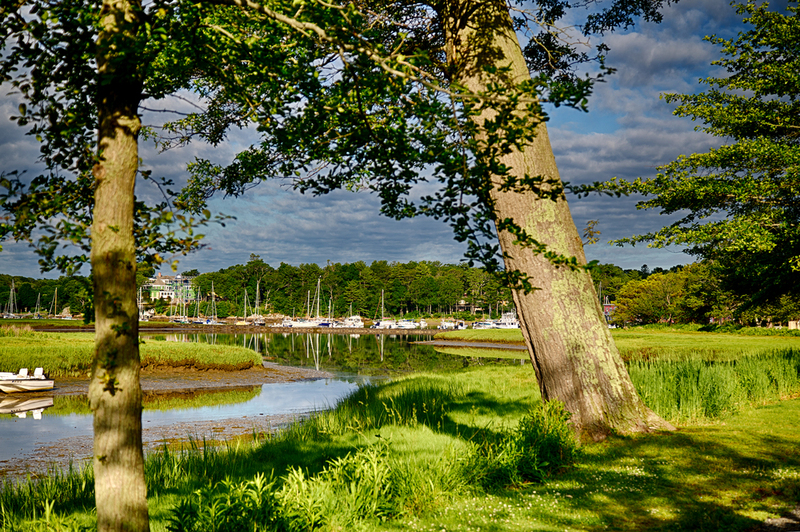 In 1782, Richard Tarr donated land to be used as the burial grounds for the first settlers of Rockport. Originally referred to as the Sandy Bay Graveyard. By the 19th century it started being called The Old Burying Ground. While many of the tombstones are now illegible because of the effects of time and weather, many reveal the names and dates of the lives of, not only fishermen and settlers, but also veterans of the Revolutionary War, French and Indian War, and War of 1812. 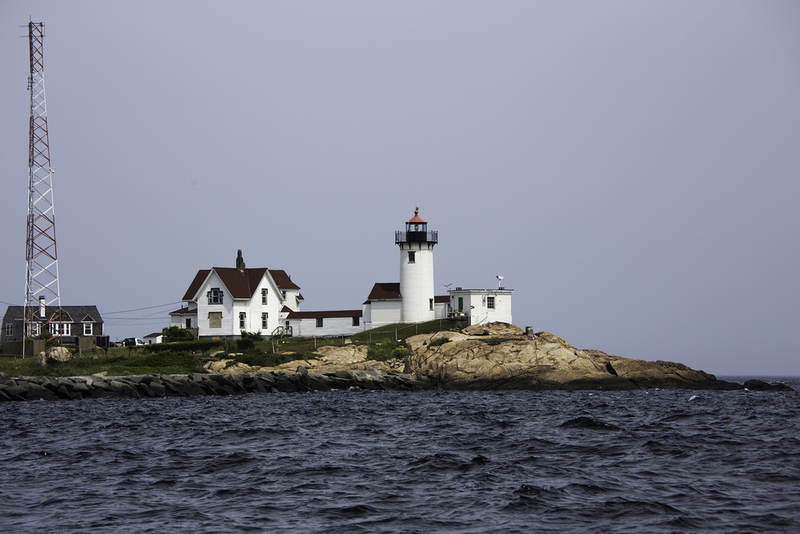 The Straightsmouth Island Light is located on Straitsmouth Island in Rockport, MA. Originally built in 1835, it was replaced by a second tower in 1896. The lighthouse is 46 feet above Mean High Water and is still in operation today. It was added to the National Register of Historic Places in 1967. The Straightsmouth Island was owned for many years by William Francis Gibbs, a naval architect and his wife Vera, a New York socialite. The Massachusetts Audubon Society took it over upon Gibb's death in the 1960s.